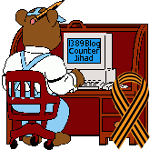 2 South Florida jihadis face terrorism charges — 1389 Blog - Counterjihad! Two brothers living in Oakland Park face terrorism charges. FBI agents arrested Raees Alam Qazi, 20, and Sheheryar Alam Qazi, 30, in the Fort Lauderdale area on Thursday. Both are naturalized U.S. citizens from Pakistan. Few details about the plot were provided by prosecutors or outlined in a brief, three-page grand jury indictment. Authorities said the case was not an FBI sting operation but declined any additional comment. The indictment charges that the two provided money, property, lodging, communications equipment and other support for a conspiracy to obtain a weapon of mass destruction between July 2011 and this week. The goal was to “use a weapon of mass destruction (explosives) against persons and property within the United States,” prosecutors said in a news release. It wasn’t clear whether the suspects actually did obtain explosives or what their potential targets might have been. The Qazi brothers had initial court appearances Friday, but records did not list attorneys for either man. A bail hearing is scheduled for Dec. 7. So why are we allowing Muslims to immigrate to the US, much less become citizens? Previous post: Will Obama stop blaming Bush and start blaming Nixon?